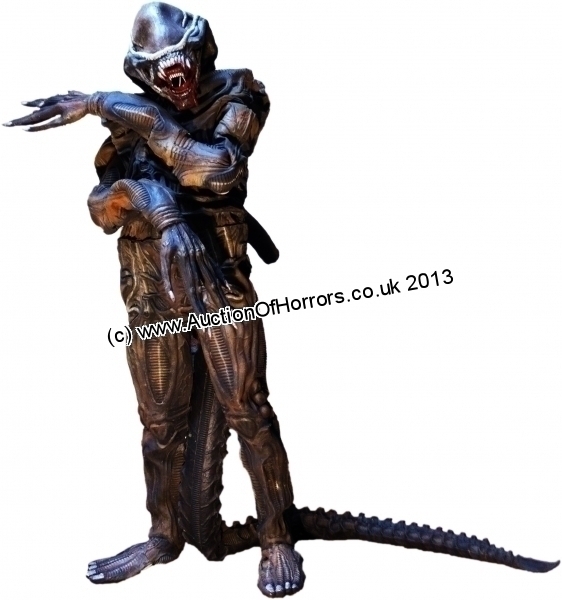 full size rubber Alien costume. Comprises four parts: Legs with shoulder straps, Torso and arms, Head, Tail. You need to be very tall to wear this! 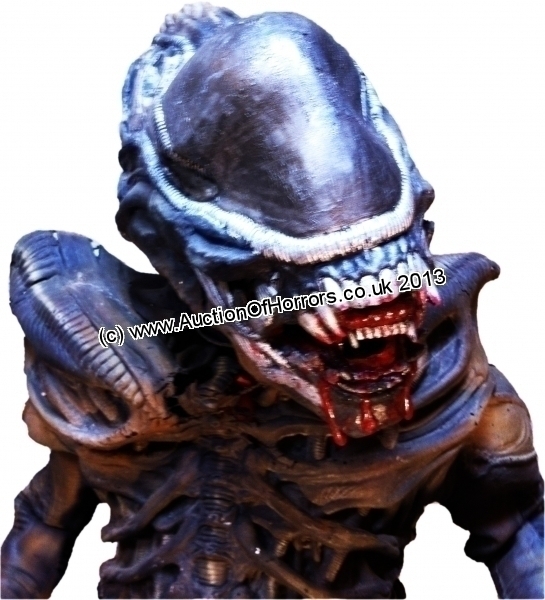 - the actors in the original Alien film were apparently basket-ball players... 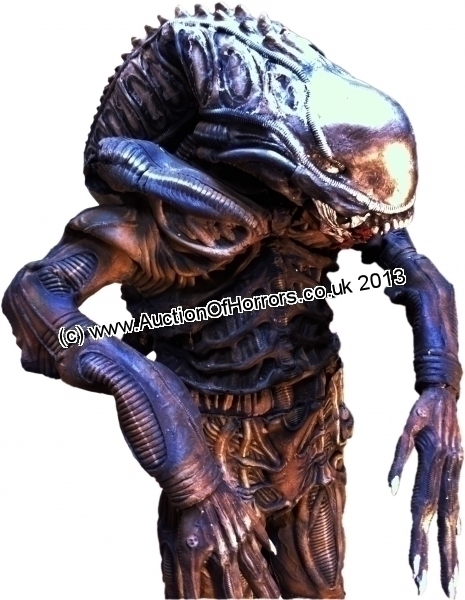 Note that the model who wore the costume for our photos is 5&apos;10" tall, hence the Alien looks a bit out of proportion from its more recognised towering stance in the films. 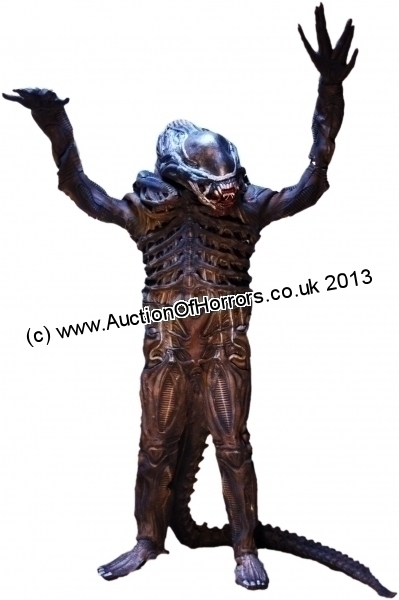 This and another similar costume was bought through one of the big auction houses around 15 years ago. The buyer kept one and had it mounted on a steel armature with the joints in the costume glued together and then all foam filled. He sold the other (this one) to the current vendor who has held it in store untouched ever since. The top of the shoulders have suffered some damage in the form of perish splits where it has been hanging for some time, it being rather heavy, but appears not to have any parts missing, and could no doubt be carefully restored. Offered with no Reserve Very rare opportunity.